Maine Blueberry Pancake! 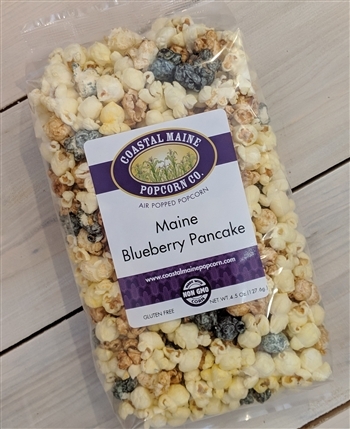 Buttered popcorn mixed with Maple and Blueberry flavored popcorn! Air popped popcorn, sugar, corn syrup, canola oil, vinegar, soy lecithin, salt, baking soda, natural and/or artificial flavoring and food coloring, vanilla. May contain unpopped kernels.